Spoon little cherry syrup on top of it and layer the cherries over it. In a medium bowl using a hand mixer whip the cream with sugar and little essence till stiff peaks form, it would take 6-7 minutes. Add the whipped cream on top of cherries.Add the chocolate shavings on top and decorate with cherry. Didnt I tell you Priya I will be the first one to comment in this post..?? Since I made the same too, I know how awesome it tastes.. Love the pictures and also the hearts raining here.. Perfect dear!! I make some thing very similar to this all the time. One of my fav desserts. Loved all your clicks..! this is a perfect treat for valentine's day! looks delicious! Lovely theme,loved the dropping hearts. 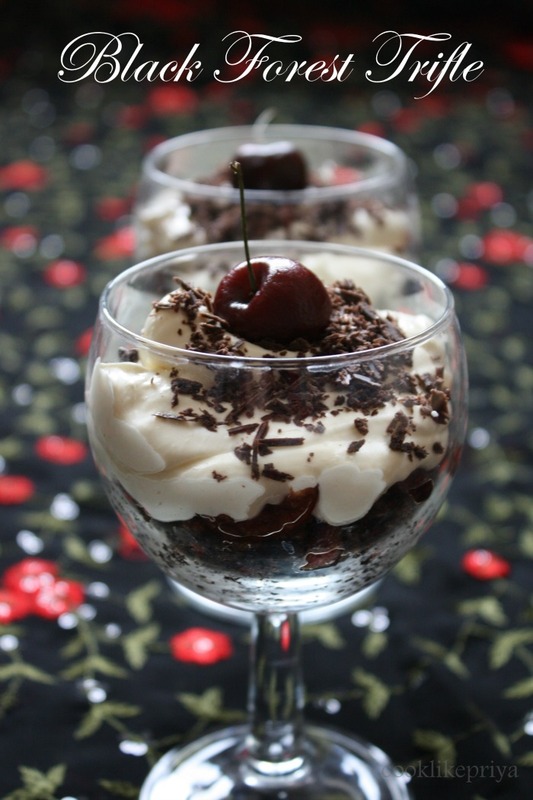 blackforest in a cup who can resist it. Love the valentine.s mood at ur place...looks beautiful and the beautiful beautiful trifle amazzzing! !giv me cup right away!! 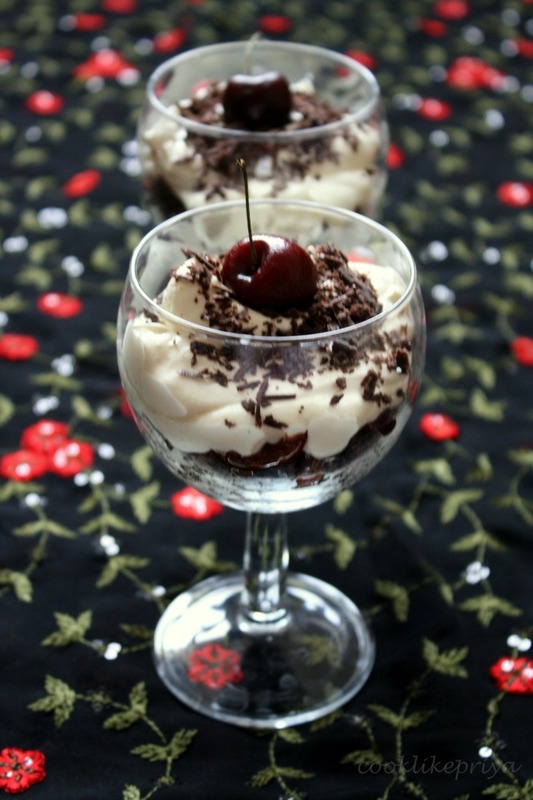 This is a perfect treat ..trifle looks awesome..happy valentine's day!! Oh Priya! 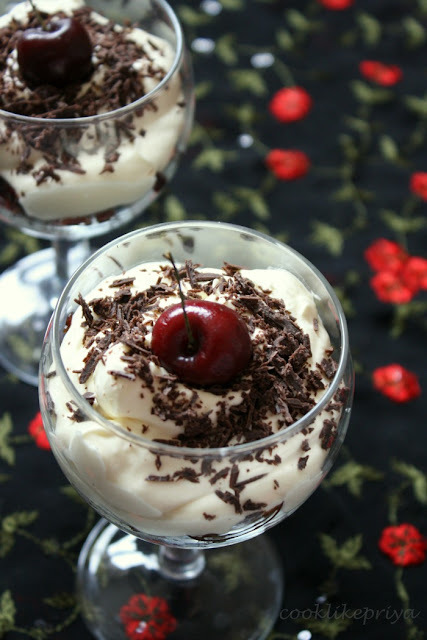 Ye kya kiya.. :D My heart is yearning for a peice of that trifle! And Lord knows I'm not supposed to load more calories into myself now!! I thought I was visiting the same blog again when I saw this recipe... Then I read you & Divya decided the same dessert!! :) Both look amazing!! Happy valentine's day the triple looks awesome. Happy valentine's day to my lovely,young and cute couple,wishing you both loads and loads happiness,love and many more beautiful things on this day. Trifle looks prefect and sooo tempting sis.Coming to this falling hearts they looks seriously very romantic and damn cute. loved the new header,Priya..n falling hearts..Yummy trifle to celebrate dear!! wow this is truly a treat for the eyes ...awesome dessert.. Happy valentines day Baby! i suppose, as always iam the last one to comment on your post. 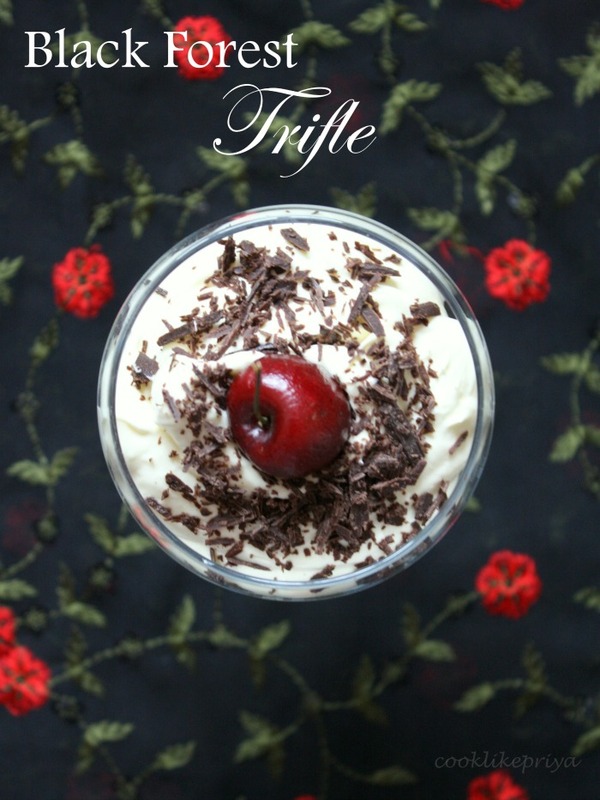 trifle looks gorgeous and amazing clicks Priya. have a nice weekend. 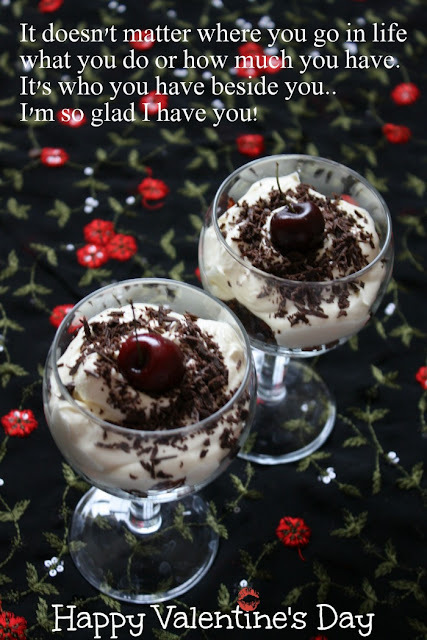 happy valentines day to you priya :) trifle looks so beautiful :) lovely presentation and make me drool here :) pass me a glass now ! !